It starts innocently enough... You find a little kitten on your doorstep and 'rescue' it. Then, somehow, another cat comes along, and you take that one in, too. Then another. And another. Before long, you look in the mirror and... OH MY GOD!!! You're a Crazy Cat Lady!!!! 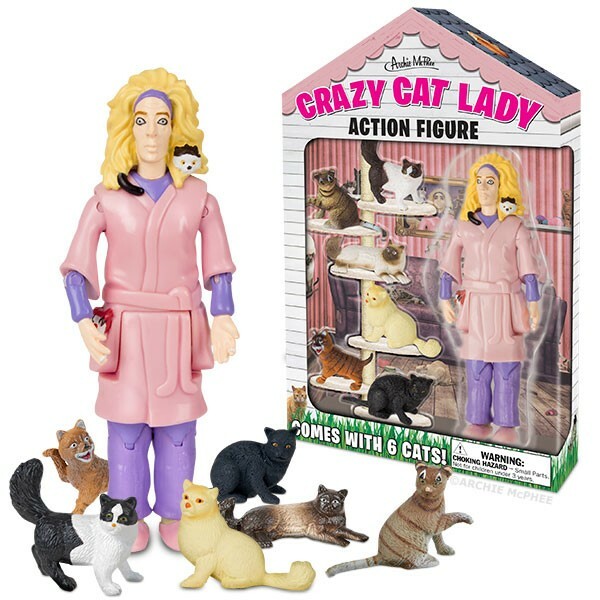 If this doesn't describe you, then you surely know someone who does fit this frightening scenario The people who designed The Crazy Cat Lady Action Figure certainly must know such a person. 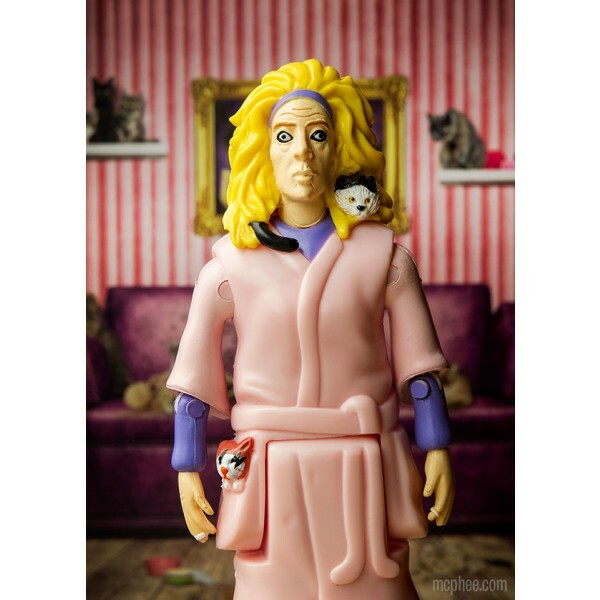 Because this bizarre toy captures the Cat Lady Phenomenon to a 'T' There she stands -- ratty bathrobe, checked pajama bottoms, headband, wild hair, and a fanatical look on her face. And she's surrounded by six cats that own her heart and soul. -The Crazy Cat Lady stands 5-1/4" tall and can be posed however you like. Yes, you may be tempted to laugh at the Crazy Cat Lady. But, be warned, one day that Cat Lady may be yourself.